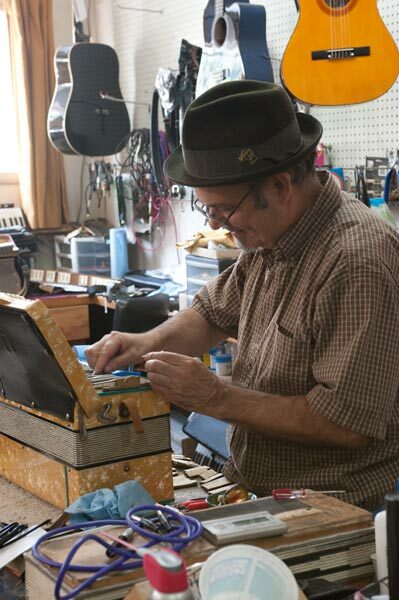 We have a large repair shop and provide service on all makes and models of accordions: Piano accordions, chromatic, diatonic, button boxes, tone chamber accordions, bandoneons and MIDI. We have accordions and accessories for sale including a selection of Italian leather shoulder and bass straps, accordion cases, backpads and instructional books. Our pre-owned, certified accordions range from beginner 12-bass models to professional tone chamber models. All come with a service warranty.